Rooms From: $USD 137.00. This eco-friendly hotel is set in Grande Riviere Bay between the river, the beach and the mountains. It features free Wi-Fi throughout the property, bird watching and turtle watching tours and free private parking. Rooms From: $USD 150.00. ACAJOU is a small, eco-friendly, family run hotel situated on the beautiful and dramatic northern Coast of Trinidad in a little fishing village called Grande Riviere. 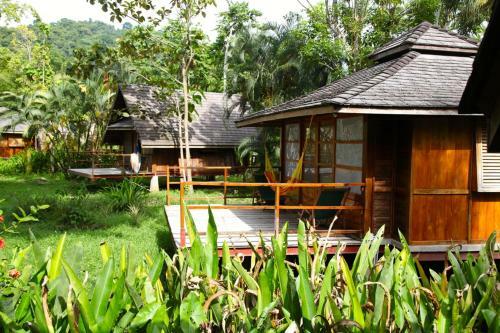 The hotel is built as a group of traditional cottages nestled in between the beach..